In what follows, I try to address the concerns raised by Jaydev and Mason in their extremely civilized and professional criticism, “A Response to Waknis” in November 2, 2013 issue of this journal! Financial markets not being able to price the EU debt correctly prior to the crisis does not contradict the rational optimizing framework really. It only reflects the ambiguity that comes with a monetary union that is not a fiscal union. Hence, even though the default probability might not have been same across members, absence of a severe shock, investors may have perceived it as so. Despite the significantly different fiscal situations of member countries, convergence of inflation across the EU members might have supported such valuation. But a shock as severe as the US financial crisis can force investors to reevaluate their portfolio positions in order to minimize risk and that is what seems to have happened. Given that asset prices are conditional variables and that pricing being a discovery process, this response of investors actually seems reasonable and not so off the mark from the optimizing benchmark. I am not arguing for only one kind of microfundaions. A rational optimizing agent is a useful benchmark in macroeconomic modeling but may not be appropriate for answering all the questions macroeconomists ask. Several alternative avenues of modeling expectations have been explored in the literature and sometimes confrontations with data have helped explain the disagreement between reality and the theoretical benchmark (See Sargent (1999)). Macroeconomists face special problems in terms of evaluating a policy as they only have model economies at their disposal. Then search has to be for policies that are robust to several different model environments. Hansen and Sargent (2008) develop an agenda along these lines. In short, there is substantial heterogeneity in macroeconomics and there are enough examples of how macroeconomists have pushed forward the research agenda to address basic methodological issues and limitations. Concentrating ones critique on certain frameworks that gain primacy and generalizing it to the whole field at best betrays ignorance or at worst belies an ideologically motivated critique! The difference between European and US unemployment is not a new phenomenon. European unemployment on an average has been consistently higher than the US for past 30 years. Prior to 1970, EU countries had similar unemployment durations as the US but lower inflows to unemployment keeping their unemployment rate low. After 1970 this changes, though. The inflows to unemployment remain the same but the typical duration of unemployment is much longer in EU countries than in the US making EU unemployment rate higher. So how do we account for this reversal in the comparative unemployment regimes despite the persistency of institutions in both the continents? Ljunqvist and Sargent (2008) provide an answer. They show that the unemployment effects of higher unemployment insurance and employment protection depend on the amount of economic turbulence represented as skill depreciation at moments of involuntary separation. At any given point of time in their economy, there are two types of job separations. One is voluntary- people who quit their current job to look for another and possibly a better one. These people are secure in their skills and do not experience a skill depreciation when they quit a job. In contrast to these workers are those who are laid off. These contribute to involuntary separations and imply skill obsolescence. Economic turbulence is defined as negative shocks to laid of workers’ earning potentials. Given this description of the economy, which pretty much sums up the economic environment that workers in the EU and the US faced after 1980, it is not hard to see how generous and long lasting unemployment benefits would provide a higher incentive to the unlucky workers for staying unemployed keeping the unemployment rate in the EU higher than the US up until recently. The recent change in employment benefits in the US seems to have altered this situation bringing unemployment rate in the EU and the US closer. So the authors should not be surprised that in 2009 US and EU rates are identical. The US workers are staying unemployed longer like those in EU there by pushing up the unemployment rate even though the inflows to unemployment pool have not changed substantially. As I mention in my response, Mulligan (2012) confirms that increases in unemployment benefits has been one of the reason for increasing the unemployment duration. In a similar vein but highlighting a different mechanism, Hagedorn et.al (2013) show that the increased unemployment benefit eligibility during the great recession affected the rate of job creation contributing to the higher unemployment in recent periods. The example of Denmark and Norway that the authors provide only highlights that there is substantial heterogeneity within Europe but most of the numbers seem to be on the higher side pulling the average well above that in US. Taking a survey of the literature on this issue, Blanchard, Bean and Mucnhu (2006) argue that most of the theories that have been put forward regarding the labor market institutions explain the persistently higher unemployment rate in EU quite well, with a caveat that differences in labor market institutions within the EU countries might explain the differences within the EU countries. Source: Cowen and Tabarrok (2013), Modern Principles: Macroeconomics, Worth Publishers, 2nd Edition, pp. 5. So the unemployed seem to be vacationing in the several thousand universities across the US! To be fair to the academic bent of this article and journal, research shows a differential impact of unemployment on graduate school enrollment rates according to gender and GPA (see Johnson 2013 as an example). As far as ability is function of economic conditions, I do not think that life of an unemployed is an easy one. I said in my response that if the expenditure multiplier is 1.5, then a dollar of government spending adds at best 50 cents to the GDP. I was hoping that the authors would be careful enough to read that as net addition to the GDP. So just to clarify, I do not regard this situation as crowding out. However, an estimate below 1 does mean crowding out. Also, many of these estimates are based on defense spending in the US and entail an increase in distortionary taxation. A government expenditure increase on some different category of spending or financed in a different way may have different impact. For example, infrastructure spending might have a positive impact on productivity of the private sector (Ramey 2011). This may not provide a sufficient rationale for increasing government spending in a developed country like the US that already has a huge stock of infrastructure but definitely does so for a developing country like India that falls short on that front. However, by saying, “most empirical economists prefer estimates on the higher end”, the authors seem to suggest that most government spending either is financed in a non-distortionary way and/or it is spent on commodities that affect the private sector productivity. I am not quite sure if that is true. If government spending rises through changing unemployment benefits eligibility, would it have similar incentive effects as funding defense research projects? What role does aggregate demand play in causing business cycles? According to Old/New Keynesians the answer is possibly shortage in aggregate demand, most of which comes through reductions in autonomous investment. I don’t necessarily disagree with this, even though I do not agree with their reasoning behind such shortage* . The important question however, is whether government spending can plug this shortfall in spending and prop up the economy out of recession or would the effect of government spending depend on what might be the cause behind decline in spending? For example, if consumers have already built up a lot of debt and hence are holding spending back in economic downtimes, then would giving them additional money make them actually spend it? There is ample evidence from the analysis of the 2008 tax rebate to suggest that it does not. Most of the extra money was used by households to repay back some of the accumulated debt. So the immediate impact of a tax rebate was increased savings. According to Sahm, Shapiro and Slemrod (2010), the distribution of survey answers to questions about the use of tax rebates in 2001 and 2008 corresponds to an aggregate MPC after one year of about one-third. Another aspect of recessions, especially after a severe crisis, is destruction of match capital or relationship capital as argued by Andolfatto (2010). Relationships like firm/worker, creditor/debtor, supplier/retailer, etc. are destroyed by the crisis and rebuilding them might take time. This would be especially true if these matches looked good ex ante but not ex post. How does government spending help in this case? May be instead a permanent tax cut might help! The point is that we should know why aggregate spending is falling short, if at all, in order to see what government policy might work. If the national income was just an identity, then it might have worked to spend and plug the hole. However, there are actual people taking economic decisions and hence the effect of a policy on structure of incentives in the economy matters. Otherwise why not argue for infinite government spending? *It is typical of the Keynesian school to assume nominal stickiness in wages or product prices. However, note that the failure of markets to clear as implied by price or wage stickiness is not enough to generate stickiness in the aggregate price level required to cause a shortage of aggregate demand. See Barro (1977) for an example of early theoretical work showing this. Andolfatto D, 2010, Deficient Demand: The Deflated Balloon Hypothesis. Link accessed on November 5, 2013. Barro, Robert J., 1977. “Long-term contracting, sticky prices, and monetary policy,” Journal of Monetary Economics, Elsevier, vol. 3(3), pages 305-316, July. Blanchard, Bean and Munchau, 2006, European Unemployment: The Evolution of Facts and Ideas, Economic Policy, Vol. 21, No. 45. Mulligan, Casey, 2012, “The Redistribution Recession- How Labor Market Distortions Contracted the Economy” Oxford University Press, New York. Ramey Valerie A., 2011b. “Identifying Government Spending Shocks: It’s all in the Timing,” The Quarterly Journal of Economics, Oxford University Press, vol. 126(1), pages 1-50. 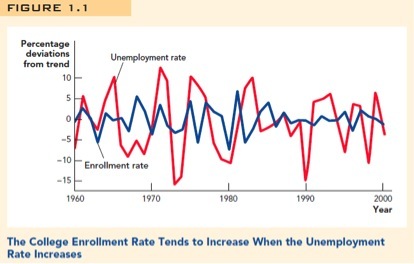 Hagedorn M et.al, 2013, Unemployment Benefits and Unemployment in the GreatRecession: The Role of Macro Effects, NBER Working Paper 19499, October. Ljungqvist L and T Sargent, 2008, Two Questions about European Unemployment, Econometrica, Vol. 76, No. 1, pp. 1-29. Sargent T, 1999, The Conquest of American Inflation, Princeton University Press, Princeton and Oxford. Hansen L P and T Sargent, 2008, Robustness, Princeton University Press, Princeton and Oxford. This is fascinating stuff! John Cochranne urges us to call spade a spade and be done with it in this very interesting blog post: New vs Old Keynesian stimulus. Then you have Steve Williamson commenting on Cochranne here: John Cochranne and Keynesian Economics, while Nick Rowe adds his own views on these differences here: On understanding and spinning your own New Keynesian model. You can find John’s extremely insightful paper here: New Keynesian Liquidity Trap.